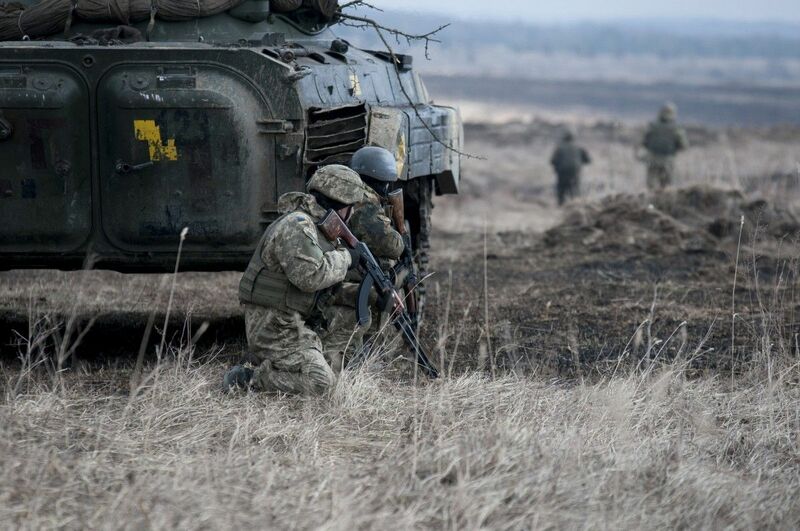 Russia's hybrid military forces attacked Ukrainian army positions in Donbas 33 times in the past 24 hours, with two Ukrainian soldiers reported as wounded in action (WIA), according to the press center of the Anti-Terrorist Operation (ATO) Headquarters. "In the vicinity of the city of Donetsk, the militants used 82mm mortars and grenade launchers twice against the defenders of the town of Avdiyivka. Our fortified positions near the village of Zaitseve also came under fire from machine guns twice," the report says. Read alsoMykhailo Zabrodskyi appointed as new chief of ATO forcesIn the Luhansk sector, the invaders fired mortars on the Ukrainian fortified positions near the villages of Katerynivka and Donets. Moreover, they used infantry weapons near the villages of Luhanske and Stanytsia Luhanska. In the Mariupol sector, the Russian occupation forces opened fire from 120mm mortars near the villages of Pavlopil and Vodiane in the second half of the day. The Ukrainian military fired back. Unfortunately, one Ukrainian soldier was wounded in that fighting.